The culmination of many years of research, observation, and study, the new STOKES FIELD GUIDE includes more species, more photographs, and more useful identification information than any other photographic field guide. 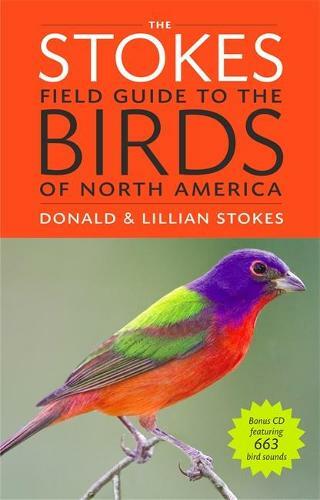 The guide features 853 North American bird species and more than 3,400 stunning colour photographs. And yet it's portable enough to fit in your pocket! The photographs cover all significant plumages, including male, female, summer, winter, immature, morphs, important subspecies and birds in flight. * the newest scientific and common names and phylogenetic order; * special help for identifying birds in flight through important clues of behavior, plumage, and shape; * detailed descriptions of songs and calls; * important behavioral information; * key habitat preferences of each species; and * the newest range maps, detailing species' winter, summer, year-round ranges, and migration routes.